We work in the ger areas of Ulaanbaatar city. The capital city of Ulaanbaatar is home to almost half of Mongolia’s total population of 3 million. Ulaanbaatar is the coldest capital in the world, with temperatures frequently dipping below -40°C (-40°F) in the winter. Ulaanbaatar is composed of two distinct urban forms, the centrally located, planned apartment areas and the semi-formal, unplanned ‘ger areas’ that encircle the city. Of the close to 1.5 million residents of Ulaanbaatar, 60% live in the ger areas. ‘Ger’ is the Mongolian word for the round tent-like nomadic dwelling. The ger areas are composed of both traditional gers and self-built detached houses, but the main identifying factor for the ger areas is that none of the households are connected to the core infrastructure of central heating, running water, or plumbing. Over the past 25 years, Ulaanbaatar’s population has more than doubled due to the rapid rate of migration of former nomadic herders into the city. For a country that has maintained a nomadic herding culture for centuries, living in an urban environment is a brand new phenomenon that presents infrastructural, political, and social problems. Our exhibit, Settling the Nomads, which was created in partnership with Rural Urban Framework at The University of Hong Kong was displayed in the Arsenale. The exhibit contained three gers that were modified to become unique projection rooms that contained films showing life in the ger areas. In partnership with Rural Urban Framework at The University of Hong Kong, we are producing an incremental development design strategy for the ger areas. We are currently developing and testing a ger plug-in concept that would provide residents with a toilet, shower, and under-floor heating systems. The City of Nomads exhibit in partnership with Rural Urban Framework at The University of Hong Kong is one of the 11 installations within the opening exhibition Fear and Love: Reactions to a Complex World. The exhibit shows how the ger areas are an intersection between rural and urban. A team of students from Stanford University's d.school course Design for Extreme Affordability researched and developed the HubCap, an innovative and low-cost product to reduce heat loss in gers. We have hosted a variety of design and architecture workshops in the ger areas with university partners including Stanford, MIT, Columbia, and HKU. A research project in collaboration with University of Pennsylvania's Center for Environmental Building & Design to audit the comfort and energy use of gers in order to develop ways to enhance energy performance. In January 2018, UNICEF Mongolia began the discussions with GerHub that led to the partnership of our respective expertise and resources. At the time, GerHub was one of the very few non-profits that strived to modernize the traditional ger and that had amassed partnerships with reputable international partners. In partnership with SOHO Impact, we are proudly piloting the Education for Innovation Program (EIP). We intend to provide much needed growth opportunity for high schoolers who want to gain meaningful extracurricular experience and skills. 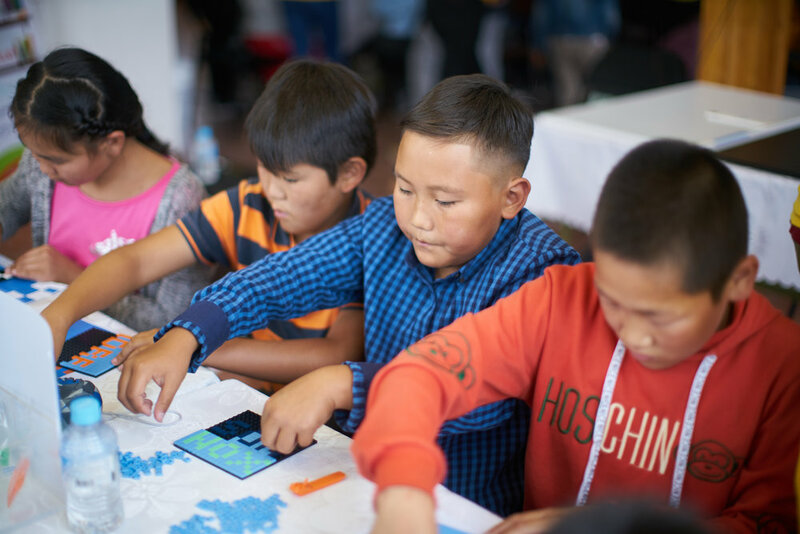 In order to bring awareness and to show the potential impact of community spaces, GerHub, with the support of the Jockey Club Hong Kong and in collaboration with Rural Urban Lab, is building a community space that is the first of its kind in the ger areas of Ulaanbaatar. We are excited to announce our Gap Year Internship Program that will strengthen your grip of the fast-changing environment for both career and personal life. Check out our long-standing partner, Prof. Joshua Bolchover and his team Rural Urban Framework’s latest in-depth study on the Ger Districts of Ulaanbaatar. Our Founder & Chairman Badruun Gardi has been featured in the latest episode of Champions for Change by Channel NewsAsia. Our CEO Enkhjin Batjargal was a guest on BBC’s Business Matters live radio program to talk about our work in the ger districts. Click on image to listen. GerHub is proud to be the strategic expertise partner on UNICEF’s efforts to improve ger energy-efficiency and indoor air quality. Click on image to read. We recently started construction on our first community center, the Ger Innovation Hub, designed by our frequent partner Rural Urban Framework. Click here to follow our progress on Instagram. Ger research project by our partners at PennDesign's Center for Environmental Building & Design has been featured on Penn Today. Click on image to read. GerHub was featured on a recent article on NPR highlighting the excellent work of our collaborator Odgerel Gansukh of Ecotown. Click on image to read. Three facilitators affiliated with MIT are in Ulaanbaatar to lead a 5-day hands-on introduction to design process workshop. Our founder, Badruun Gardi, talks about the ger areas, nomadism, and GerHub's work with Monocle Radio. Click on image to listen. Construction of the first ger plug-in prototype is under way. To follow our progress, follow our instagram page by clicking on the image. Architecture students from Columbia University GSAPP came to Mongolia for their projects and spent a week in Khailaast doing fieldwork. We are happy to announce a new project in partnership with Stanford University's Design for Extreme Affordability to develop an innovative solution intended to keep a ger warm. We just finished our video submission for the exhibit at the Reopening of London's Design Museum. Open for public viewing on the 24th of November, 2016. Click on the image to book your ticket. Our installation is at the opening exhibition of the London Design Museum. Click for more info. Our work is showcased at the 2016 Venice Architecture Biennale, the largest and most well known architecture exhibition in the world. Click the image for a video of our installation.